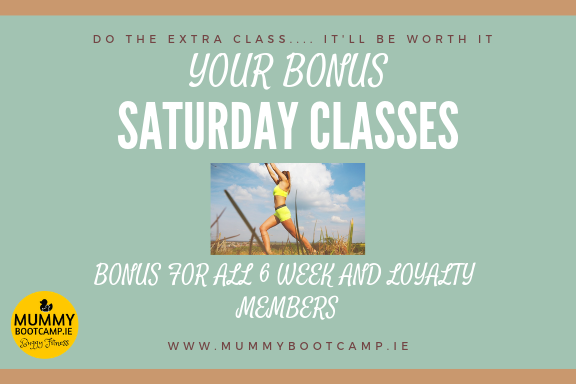 We run Saturday Bonus Bootcamp Classes where all 6 week members can avail of in their membership. Class pass users can go along too and use their class passes. These classes are regular bootcamp classes and do not focus on post natal issues. So if you have any reason why you cannot do certain exercises due to your post natal status or otherwise, you will need to inform the instructor at the start of each class. It is a buggy free class, but all 3 locations have playgrounds and cafes, that are really nice and a great way for you to get your workout in on a Saturday morning and meet up with Dad and baby afterwards for a well earned coffee! Herbert park: 10:30am. Meet on the opposite side to the tennis courts, just by the black railing off the road. Phoenix park: 10:30am (NOT AT THE POLO GROUNDS) We meet up on the pitches by the magazine fort. As a 6 week Mummy Bootcamper, just turn up and let the instructor know you are a Mummy Bootcamper.